The Bishop siblings’ empire is on the verge of collapse as all three find themselves embroiled in danger. Family bonds may keep them alive…but only love can give them something to live for. 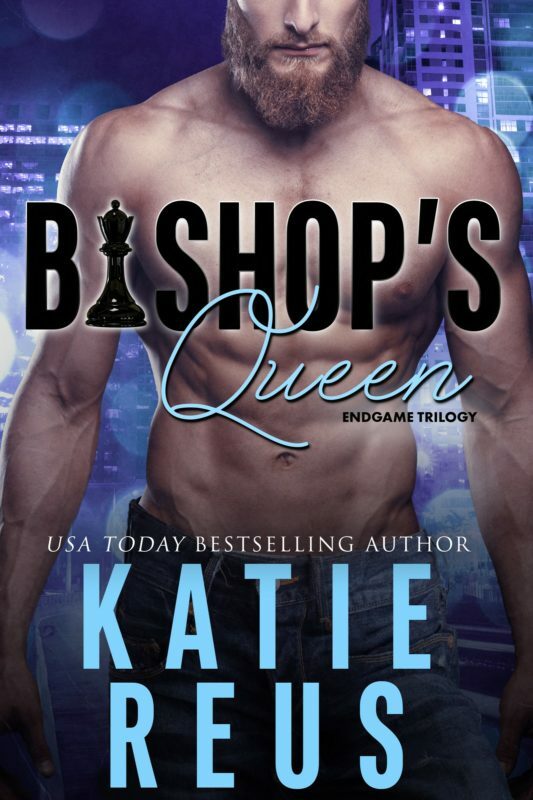 Read BISHOP’S KNIGHT, the first novel in this ALL NEW heart-pounding Endgame trilogy! Thanks to years of government training, Evie Bishop knows how to get into places she doesn’t belong—and she’s very good at it. But years of doing black ops work burned her out so she returns home—to unexpected chaos. One of her brothers is in a coma and the other is in hiding, wanted for murder. Then a fellow operative from her past shows up shot and bleeding with news that an assassin is gunning for everyone involved with a past op. She’s forced to turn to the one man she knows she can trust—the man whose heart she broke. When Dylan Blackwood proposed a year ago, Evie turned him down flat and walked out of his life. He’s stunned when he finds her on his doorstep covered in someone else’s blood, needing his help. He always knew there was more to her than met the eye—that Evie was never simply the pampered society princess she wanted people to believe she was. But he never expected this. If she needs help, he’ll give it. Even if he can’t forget her betrayal. Even if he isn’t sure he can trust her. But his protection will come with a price—her heart. Before they can have a chance at a future, they’ll have to work together to take down a faceless enemy who has Evie firmly in his crosshairs. Author note: This book can be read as a stand-alone, complete with HEA. FIRST IN NEW TRILOGY. Excerpt coming soon! Other Books in "Endgame Trilogy"